"…The police force and, in particular, one ... Chihuri who was the commissioner-general of the police acted like the Italian Godfather and using mafia-style squeezed every drop of blood, sweat and money from unsuspecting citizens. He was committing an illegality in this case and this honourable tribunal should not entertain such mafia conduct," the pair said in their application. "It is submitted that this debacle is more evil that the $15 billion debacle from our diamond fields because on this one, the mafia-styled former commissioner-general was stealing directly from poverty-stricken people of Zimbabwe, most of who live below the poverty datum line. The truth be told, the act of the former commissioner-general border on satanic side of conduct, in essence he was sucking blood from the struggling masses," the pair added. 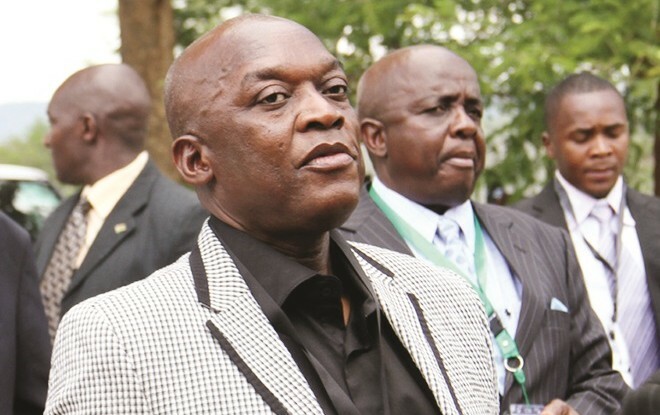 But through their defence counsel, Zorodzai Dumbura, the accused alleged the ZRP national traffic's admission of guilt books that each officer was issued with to record fines were illegal and that spot fines they collected from motorists during highway patrols were pocketed by Chihuri instead of going to State coffers. "…Millions of dollars if not billions were collected and are not accounted for. Our policing apparatus are in a sorry state, most of our police stations should be declared historical monuments; the officers are wearing torn and tattered uniforms. The million-dollar question is was this whole collection and fiasco constitutional?" the pair further said. "These books are not in our statutes, a close look at these books will reveal that they were printed by the police to collect fines from motorists. When they started working and their origins is a source of mystery. They appear to have just cropped up illegally during the past two to four years. "Further, a close look at all other laws of the land, these books are non-existent they cannot be traced to anyone or anywhere or any statute…these books have no paper trail, they do not have any legislation to back them or any statutory instruments to back them…If they are not enabled by any statute then it follows they are illegal and they are a scheme of a few people who have benefited from fleecing the general populace of the country," they further said. "This money was collected fraudulently from motorists hence the police approached the court with dirty hands on this matter because they were stealing from the public," he argued. "The books are not sanctioned by the law and the real owners of the money are the offenders not the police. The police have no locus standi." The complainant is the State represented by Cosmas Dowerowe, the officer-in-charge National Highway Patrol at Morris Depot and resides at Marlborough Camp Quarters.